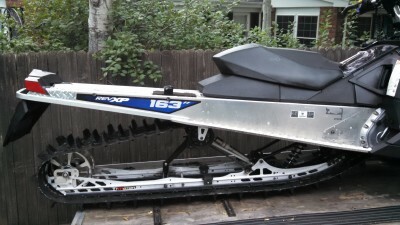 2011 Ski-Doo Summit 163 Ptec. Felker setup. Increased to 174 in. track. Iceage rails. Big wheel kit. Ski-Doo T-Motion rear suspension. Adjustable handlebar riser. 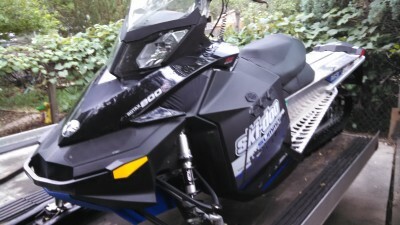 Ski-doo forward handle bar kit. Left hand throttle. Belly pan. HPS can. SPL skis. Rear gas can. SLP Y pipe. Vent kit. Stock engine runs very strong. Very fast for a 174. A monster in deep snow. 1850 miles. Many extra take off parts. 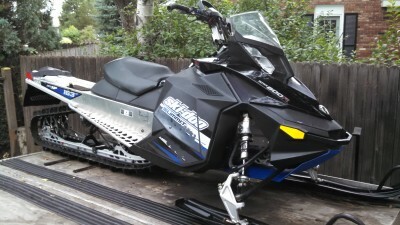 You can see this sled at Felker motor sports, Loveland CO.